Gretsch Renown Maple - Any Users? no problem. if i remember correctly, the renown maple is the top of the line gretsch set made overseas. its the equilvilent of the US Maple or whatever they call it, but half the price. kansasdrummer wrote: no problem. if i remember correctly, the renown maple is the top of the line gretsch set made overseas. its the equilvilent of the US Maple or whatever they call it, but half the price. Interesting to read that as I was being told the the Renown kit was one of the American kits rather than from China? Can anyone confirm where the Renowns are made? The renown kits are made in china. But ive sat behind one many times. It sounds great. But if you dont want to put down 1500 on a china made kit. Look into medicine man custom drums. For a lil more, you can have a great american made kit! I know I am a little late on this discussion, but I have both a renown maple and a catalina birch kit. I love them both equally but two totally different sounds. My renown are a limited quantity yellow nitron (oyster)finish and a 5 piece. 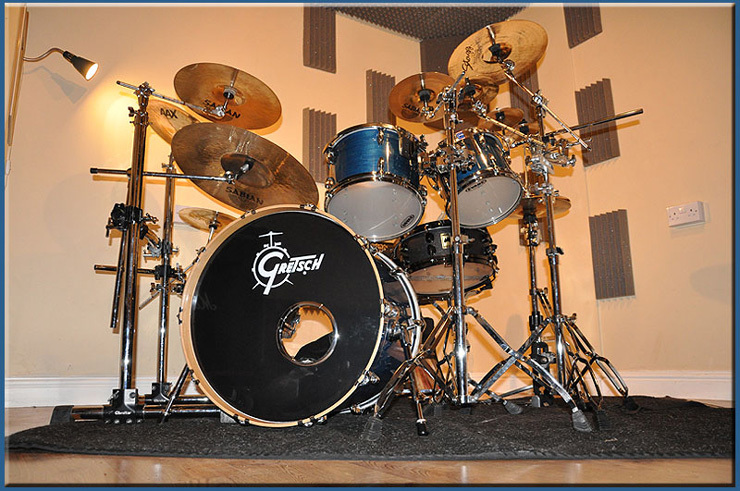 They are prety much the best drums I have ever owned. They sound amazing live and in the studio. I always get compliments on the look and sound. I got them for a steal 4 years ago and would recommend them to anyone. I bought my catalinas (carribean blue) because they were a steal used. Paid $350 US for a 6 piece kit and I was really shocked at how great they sound. I mainly bought them because I needed a bigger set for a different project and t the price I didnt care about gigging with them. If something happened to my renowns on a gig I would be really upset. So, I know they are two different woods and the difference between birch and maple, but IMO Gretsch makes great drums all around. A friend bought the catalina maple set and I dont think they sound as good as the renowns, but still pretty dang good for the money. GOod luck. Hopefully you got them by now. Thanks for the reply drumbeast72. I did indeed get, not one, but two Renowns! I really wanted Autumn Burst but I couldn't find one, so bought one in Blue. I totally love my Renowns. Beautiful kit. I used to sell Gretsch at the store where I worked and those Renowns are the kits I recommended to those looking for Gretsch. 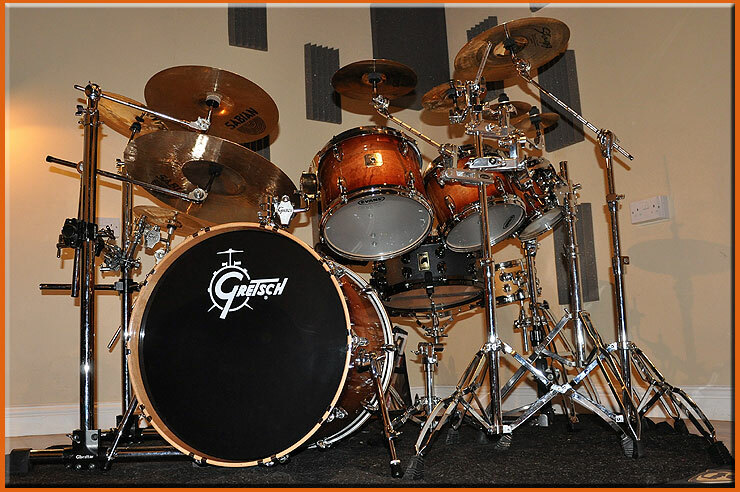 Same shell formula as the USA Gretsch, same look hardware yet so much cheaper. Proudly sponsored by Meinl Cymbals. I own the Catalina maple kit, 6 piece. I've never played the renowns but I've learned that you get what you pay for when it comes to drums and gear. I was looking to upgrade to the renown kit, but I'm satified with my catalina kit for now. I was informed to replace the heads so thats what I did as soon as I got my kit and they sound great! I asked the local music guru's what the difference was between the catalinas and the renowns were and was told the catalinas shells were chinese maple and the renowns are American maple but I'm sure there are other differences. I plan on trying a set of the renowns out sometime in the future, but for the money, the catalinas are awsome compaired to other entry level sets.JMO..